Decades-long expertise and durable wellheads make Hartmann Valves one of the sought-after partners in the field of deep geothermal energy. The use of metallic sealing ball valves on the wellheads ensures superior leak-tightness, a long service life and low maintenance requirements. Our API 6A wellhead equipment guarantees safe borehole closure – even with demanding conditions and scaling formation. More than 30 reference projects since 1978 speak for themselves: as interface between the borehole underground and the above-ground geothermal plants, Hartmann wellheads have been in maintenance-free deployment for years in the Munich Molasse basin, the Rhine graben as well as in France, Belgium, the Netherlands and Turkey, amongst others. Adapted to project-specific requirements and designed for the highest flow rates and temperatures, they provide maximum operational safety and plant availability. 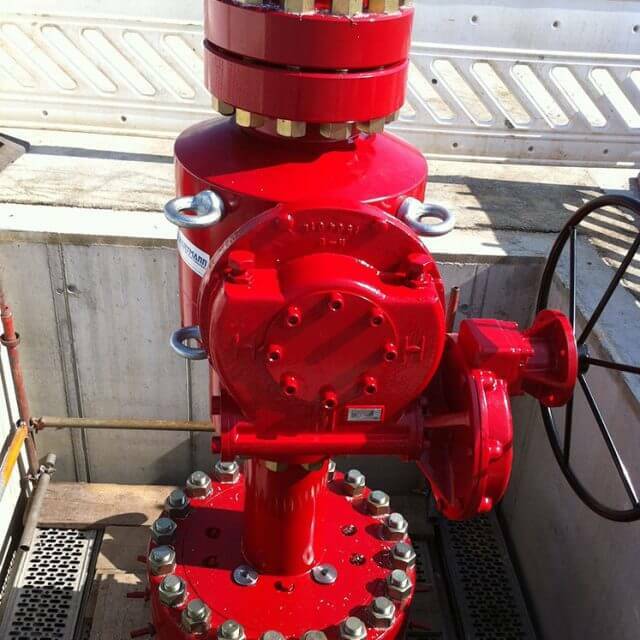 The wellheads are, by default, fitted with gas-tight ball valves which have a metallic sealing between ball and seat ring thus guaranteeing extreme reliability and long service life. In contrast to gate valves, ball valves have the advantage that even with scaling deposits in the pipe they close securely and require significantly less maintenance. With high safety factor levels Hartmann ball valves are true workhorse valves which if required are provided with flushing connections, e.g. for acidification. Pump replacement at the wellheads of Stadtwerke München is done on the basis of a framework contract with Hartmann Valves. As a leading wellhead supplier in the German deep geothermal energy field, Hartmann Valves is assisting the Stadtwerke München (SWM) with the implementation of their district heating vision: by 2040 Munich will be the first large German city in which district heating will be extracted 100 % from renewable energies, above all geothermal. There are already two Hartmann wellheads being deployed in Freiham with six planned for the future in the Schäftlarnstraße which have been developed for the special project circumstances. Based on a framework contract, Hartmann Service is assisting with maintenance work such as the regular exchanging of pumps. In Freiham the two boreholes have been drilled down to a true vertical depth (TVD) of approx. 2,500 metres. Producing around 90 litres per second at a temperature of 90 degrees Celsius, the district heating station is achieving a thermal capacity of up to 20 MW. The two boreholes were fitted with API 6A wellheads, pressure class 5000 psi and equipped with highly resistant metallic sealing ball valves. These have been prepared for retrofitting with an actuator where necessary. By means of the adapted design of an eccentric suspension for the 8 5/8 inch (approx. 220 mm) production casing string, enough space could be created for two cable penetrations for the pump. At the same time three further penetrations are made for the retrospective insertion of lines, e.g. for introducing inhibitors. The use of identical components in the production as well as the injection bores makes subsequent replacement between the two possible at any time, if necessary. The experienced Hartmann service team is available around the clock for installation or maintenance work. Not only the reliability of the components but also the appropriate consultation, experience and professional expertise of the partners are crucial to the success of the project. 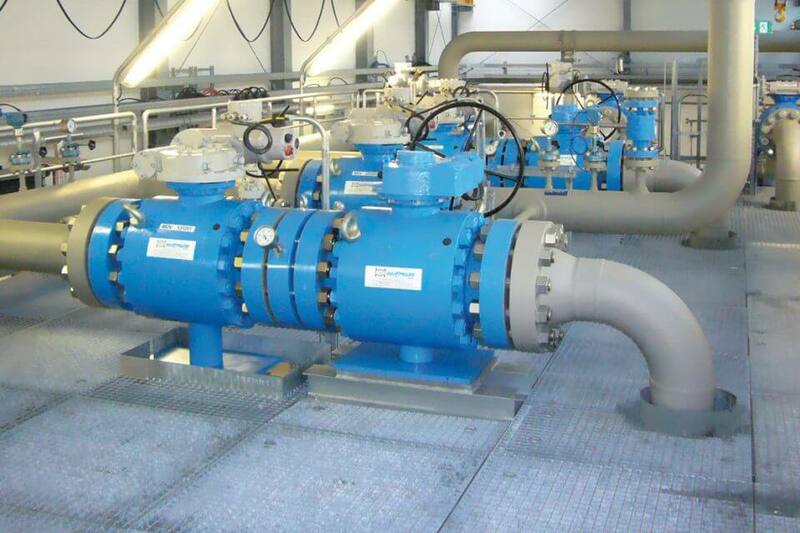 Hartmann Valves provides support for its customers in all project phases ensuring an efficient collaboration between manufacturers, engineering partners and the operators. Engineers and technicians provide the installation service on site and are available for technical information and advice. When problems occur or subsequently within the scope of maintenance a service and repair team can be on site within a few hours. The philosophy that Hartmann Valves delivers all services interface-free from a single source also includes compilation of the comprehensive documentation for operator and approval authorities such as the mining authority. Thus coherent documentation on the entire component manufacturing process is guaranteed. This covers, amongst other things, all material certificates in addition to the illustration of the complete installation including all components. The seamless fulfilment of the stipulations also greatly facilitates public acceptance of this form of renewable energy. Hartmann Valves is a founding member of GeoEnergy Celle e.V. and a member of the German Geothermal Association (BVG). Planning office gec-co relies on Hartmann Valves & Wellheads.